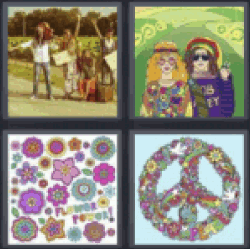 4 Pics 1 Word People protesting. Hippies drawing. Peace. Flowers. Drawing flowers. Flower Power.